Being genuine footwear leather care products, AQUASEAL truly is the first aid leather needs to survive and thrive. It’s balanced care that 1. properly conditions leather so it remains supple and comfortable, 2. protects leather so it lasts longer and keeps feet dry. Making AQUASEAL part of your routine improves your every day comfort. Leather stays soft and pliable, feet stay dry. Making AQUASEAL part of your routine saves you money. Leather lasts longer doing its job. Leather is prized because of its comfort, flexibility, strength, protectiveness and durability. Left undernourished and unprotected, leather loses all of its strengths. It needs the genuine care of AQUASEAL. For over 35 years AQUASEAL leather care formulas have been the sure thing allowing leather to survive and thrive. These stalwarts condition and waterproof leather all-at-once. One of the key reasons AQUASEAL became famous was because founder Ralph O’Quinn discovered a formula and process that did two key things at once. These bona fide products legitimately have the power to condition / lubricate leather fibers – while also creating a waterproof barrier. This is the first aid for leather “prep step” that paves the way for AQUASEAL’s conditioning and waterproofing to do its thing. It thoroughly removes dirt and debris so leather looks better. The Cleaner also renews the breathability that the grime had robbed feet of by clogging the leather pores. These days it’s all about making the right choices that give you the most for your money. 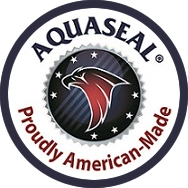 Using AQUASEAL leather care products enables your boots, shoes, cleats and skates to last longer. You ultimately spend less money on all of them. You buy work boots that cost $125 - $150 a pair. (It’s smart to buy really good footwear. You and your feet feel better every day you wear it.) Let’s say they last 12 months before they need to be replaced. In five years you’ve spent over $600. Using AQUASEAL products will clean, nourish and waterproof your boots the entire time you own them. This first-rate leather care results in prolonged leather life. It sure would be nice to buy only 3 pairs of boots over 5 years instead of 5 pairs. Investing a small amount of money and effort can save you a couple hundred bucks. Nice. Learn more about why AQUASEAL is right for you.